These foundations are timeless, they are universal. It does not matter what race, gender, age, or culture you are; these are the foundations of health. They are scientifically based. They are what your body is designed to need in order to sustain balance. A body in balance is a healthy body; a body out of balance is disease. We at Optimum Care would like to introduce you to the best the doctor you will ever have, your own body! Give it what it needs and it will sustain health. Follow these 7 foundations and your body will thrive as it is meant to. Dr Arnuld Engelbrecht explains in detail the 7 key foundations you need to follow to achieve your optimum health. As we all know, your body consists of between 70-75% of water. Do yourself a favour and think about this for a while. Draw an imaginary line across your chest and imagine that everything below that line is water. That is about 75% of you! Every system in your body depends on water. You have water in your eyes, skin, joints, glands, brain, and in your blood that flows through out your body. One of the biggest causes of headaches worldwide is dehydration. One of the biggest causes of constipation worldwide is dehydration. One of the biggest causes of fatigue worldwide is dehydration. Dehydration prevention it is one of the most powerful anti-ageing tonics for the skin. 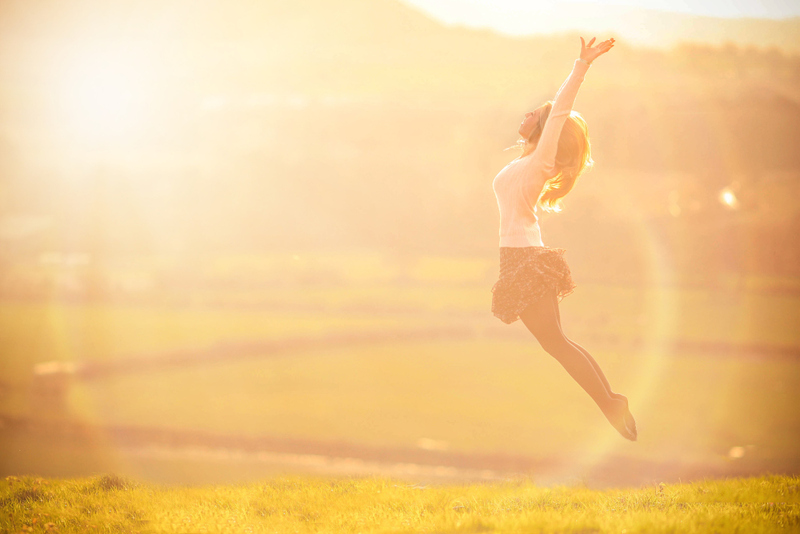 By changing this simple aspect of your life you can have major affect on your health. 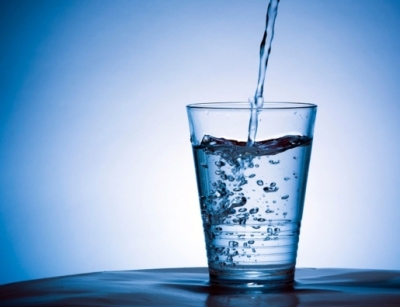 Your body needs between 2-2.5L of water for the average (70kg) adult on a daily basis. 2.5L on a cold winter’s day, 3L on a warm summer's day. Endurance athletes can increase this by at least 10% for every hour of exercise a day. Young infants: 150ml/kg of body weight daily. (Infants younger than 6 months should only drink breast milk or formula, not water. Children under 13 years: we recommend an average of about 0.75L for a 5kg child and 1L for a 10kg child. For every 10kg of body weight above the 10kg point, add roughly 250mls of water to your daily consumption. In warm countries like South Africa, India, and Australia: add at least an extra 300mls per day. In the world of health there is a saying: “you are what you eat”, this certainly applies to water as well. The quality of water that you put into your body is essential. We recommend using a simple ceramic filter that removes heavy metals and toxins from the water, and keeps the water mineral-rich and thus optimally alkaline. Filtration systems that acidify your water. Filtration systems the remove the mineral in the water without replacing them. Drinking water from a plastic or aluminium water bottle. Sparkling or carbonated water, as this acidifies your body. What counts as water and what doesn’t? Does count: water; herbal tea; water infused with lemon, cinnamon, strawberries, mango and cucumber etc, for flavour. Doesn’t count: coffee, Ceylon tea (i.e. regular English breakfast teas) - If you are a coffee or tea drinker, have no more than 1 cup daily. Although coffee and Ceylon tea in the right quality and quantity can have advantages like weight loss for example, they can also dehydrate your body. Drinks like coffee, normal tea, green tea contain caffeine which may dehydrate the body. Drinks like alcohol, fizzy drinks, carbonated water, coffee and Ceylon tea do not function like water, can create acidity in the body and should not be counted as water. One of the first things that a gynaecologist will give to a pregnant female is an Omega 3, 6, 9 oil. The foetus needs it to grow. 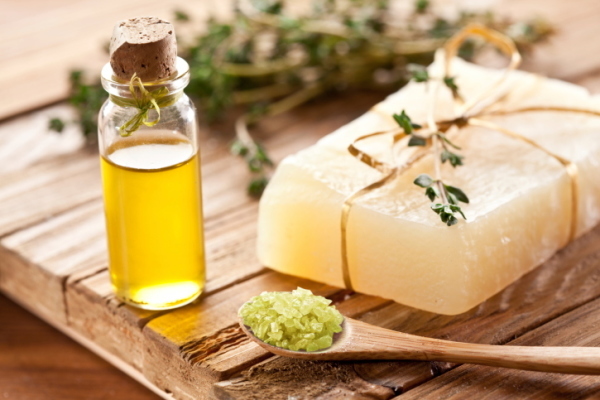 These oils are in the skin, eyes, joints, brain, nerves, glands, the membrane of every cell and they lubricate the body. It is essential not to stop after the baby is born. Their joints need to grow; the brain and eyes need to double in size. Adults need it to sustain the function of their moving joints, to lubricate their colon, and to keep their brain functioning optimally. These oils are potent anti-aging and moisturising agents. 2 tablespoons of cold-pressed seed oils daily for persons older than 15 yours, 2 teaspoons daily for persons younger than 15 years. Omega 3, 6, 9 Oil in a dark glass bottle, not a plastic bottle. Cold chain intact: where the product is transported from the factory to the health shop to your home staying cold. The body gets enough Omega 6 and 9 oils from the diet, so we recommend a high omega 3, low omega 6 and 9 oil, like Udo’s Choice, which we consider one of the world leaders in good omega oils. The pH of the body should be between 6.8 and 7.2 roughly, and this will assist your body to sustain chemical balance. It is very easy to understand using a swimming pool as an example: The swimming pool is clear all year round if it is at the right pH balance. If the pH moves out of this delicate balance it will turn green over night. This is because the pH of the swimming pool now supports the growth of bacteria, viruses, parasites and fungus. Your body reacts the same; too much acid in your mucus membranes and you will wake up with green or yellow mucus in your nose and a head cold. Too much acid in your big toe will give you gout; in your fingers, arthritis and in your stomach, heart burn or a stomach ulcer. Cancer grows in an acidic body and not in an alkaline body. 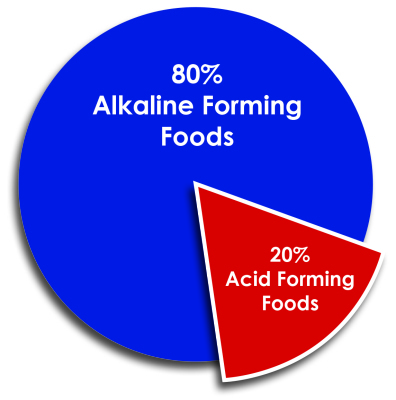 See how the dinner plate is divided into a 20/80 balance: 20% or the red zone represents the foods that are acid forming; the 80% or blue zone represented the portion of foods that must be alkaline forming foods. To simplify this process, think of all acid forming foods as dead foods e.g. : coffee, chocolate, meats, eggs, milks, yoghurt, tomato sauces, fish, fizzy drinks, processed foods and alcohol. Think of all alkaline forming foods as foods that are alive or foods that grow from the earth e.g. : vegetables, fruit and salad. It is very important to understand the follow sentence: If the enzymes in the alkaline forming foods e.g. fruit, are still alive, the food is alkaline, if you kill the enzymes in the alkaline forming food e.g. fruit, it will then be acid forming. To clarify, a fresh raw mango is alive and alkaline forming, the enzymes of a dried mango are dead, and thus acid forming. 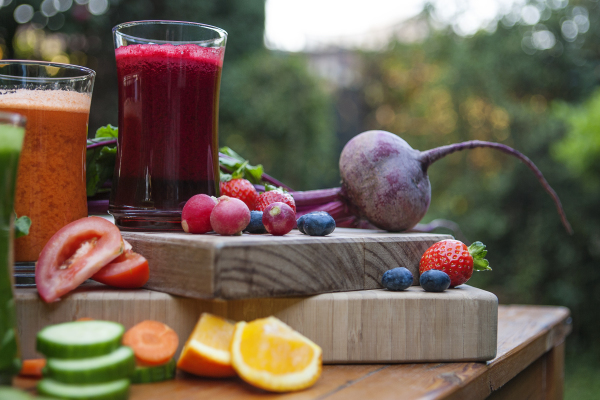 The exciting advantage of juicing with the right machine is that it boosts your body into an alkaline state. Let’s do one example to clarify. Let’s assess a standard breakfast of scrambled eggs on rye toast, which seems healthy. Would you classify the eggs as alive / alkaline-forming, or dead / acid-forming? Would you classify the toast as alive / alkaline-forming or dead / acid-forming? 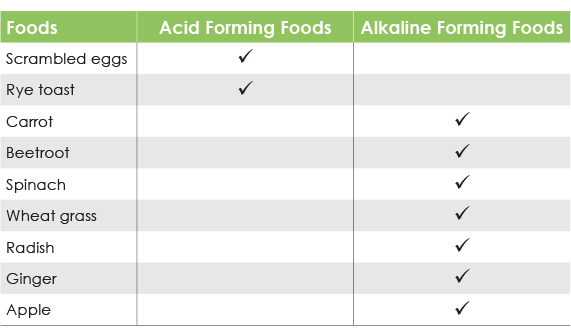 As we can see in the table above both of these are acid-forming foods, thus a 100% acidic breakfast. A purely acid-forming breakfast like this can promote acidic conditions in the body, like heartburn or inflammation for example. This is where juicing comes in as the easiest and fastest way to balance out the breakfast above. Question? Is the carrot acid or alkaline-forming, is the beetroot and other juice ingredients acid- or alkaline-forming. ​​Summary: by drinking one fresh cold pressed vegetable juice with your toast and egg, you will create a whole new balance. We now have 2 points on the acid side of the column and eight points on the alkaline side of the column, thus placing us in the perfect pH balance to sustain healthy body. Your body uses vitamins, minerals and antioxidants as fuel for energy. Your body also uses them as ammunition to fight off viruses, and bacterial and fungal infections. It forms the base line of your immune system. Vitamin supplementation should be done daily. Every day that you supplement, you anti-age, every day that you don’t supplement your body gets weaker. One of the biggest dilemmas patients are faced with is walking into a health shop with rows of supplements and not knowing what will and won’t work. We at Optimum Care recommend whole food vitamins. It is what your body was designed for. It is in a format that your body knows, understands and absorbs optimally. 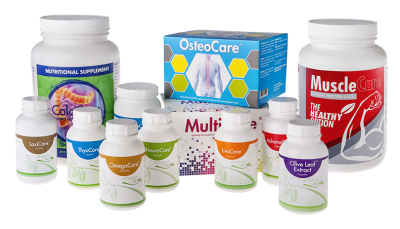 In the Optimum Care MultiCare vitamin that we recommend, you will find: concentrated forms of natural beetroot powder, carrot powder, barley powders, grape seed extract and resveratrol to name a few. These form the building blocks of your body. MultiCare is conveniently packaged in sachets which make it easy to travel with; to put in a lunch box or to put in your pocket on the way to work. Which vitamin supplements to avoid? Many vitamins are purely chemical, containing colourants, flavourants, fillers, sweeteners; some even contain aspartame, which has been linked to the development of certain cancers. We recommend that you avoid these. We do not recommend any effervescent vitamins as these have a negative effect on acid alkaline balance. ​​You will see that this is a vegetable juice predominantly, and there is only one fruit in this recipe, this helps to keep blood sugar levels stable. Use a cold pressed juicer machine. Available for purchase at our Online Store. 15 minutes a day is required for your skin to produce vitamin D, one of your body’s main anti-inflammatory and immune-regulating vitamins. Rest and repair time is vitally important to the long term health of your musculoskeletal system, nervous system, hormonal system, digestive system and your skin. We recommend 7-8 hours of sleep per night for adults, and 10-12 hours sleep per night for children under 12. The following might seem an obvious fact, but when you stop at the fuel station you do not put diesel in your petrol engine, you fill it up with the right fuel!​ Our bodies work the same. In our last 14 years of joint practice experience between the Optimum Care doctors we have helped hundreds of children suffering from asthma, eczema and other allergy-related diseases purely by identifying which food to avoid in their diet. Similarly, with adults, we have assisted many patients to cure irritable bowel syndrome, fibromyalgia, and chronic fatigue to name a few, by identifying the right and wrong foods for their bodies. Fuelling the body with the wrong foods will cause inflammation, irritation and pain. These foods are not recognised by the body, neither are they digested, absorbed or eliminated optimally. They can remain in our body for 6-8 weeks after consumption, causing discomfort and disease.